ITS POPULATION HAS SHIFTED FROM PREDOMINANTLY RURAL TO URBAN. ACCORDING TO WHO, BY 2050, 75% OF THE WORLD’S POPULATION WILL LIVE IN CITIES, A MASSIVE 20% INCREASE FROM 55% IN 2015. In a world facing an epidemic of physical inactivity, municipalities are the primary provider of Sport for All and physical activities. Their role ranges from the provision of infrastructure and facilities, through the organization of programs and events, to the funding to local stakeholders. Unfortunately, however, they very often lack a comprehensive or holistic approach towards increasing Sport for All and physical activity participation within their community, the support to create one, or do not know where to start. to make a difference. Read on to discover our initiatives. Give life to your city by joining the worldwide movement to activate public and open spaces. It is an easy way to start off. Register your own Sport for All or physical activity event within the #TakeBackYourStreets Movement – it will be added to our worldwide calendar of events, and you will receive TAFISA patronage for it. Challenge your own community against others worldwide by getting as many citizens active as possible on the last Wednesday of May every year. 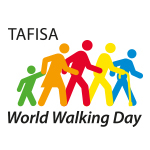 Integrate physical activity into everyday lives by participating in the TAFISA World Walking Day, on the first weekend of October every year. Please contact TAFISA for more information. SPORT FOR ALL AND PHYSICAL ACTIVITY IN YOUR CITY? WANT TO DEVELOP ACTIVE CITY POLICIES AND STRATEGIES? The following services aim to assist you all the way towards achieving your goals. TAFISA, in partnership with Evaleo and with the support of the IOC, leads the Active Well-Being Initiative (AWI), a non-profit, non-governmental organisation founded in 2017. The AWI provides municipalities with a holistic approach towards creating their own “Active City” strategies, and recognises them through the Global Active City Label. Through an ISO-compatible standard, cities get access to tools, good practices and a network of experts to leverage physical activity and Sport for All to enhance individual and collective well-being. Learn more at http://activewellbeing.org. 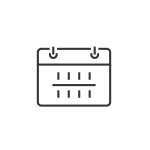 to start, or simply wish to receive professional support, check out our available programs. strategy. See www.triple-ac.net for more information. 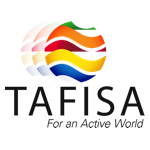 TAFISA works with international organizations towards the promotion of Active Cities. Consult our declarations, resolutions and calls to action. 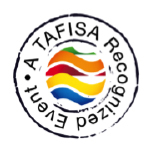 Municipalities are welcome to join the TAFISA network and become supporter members. Discover how.